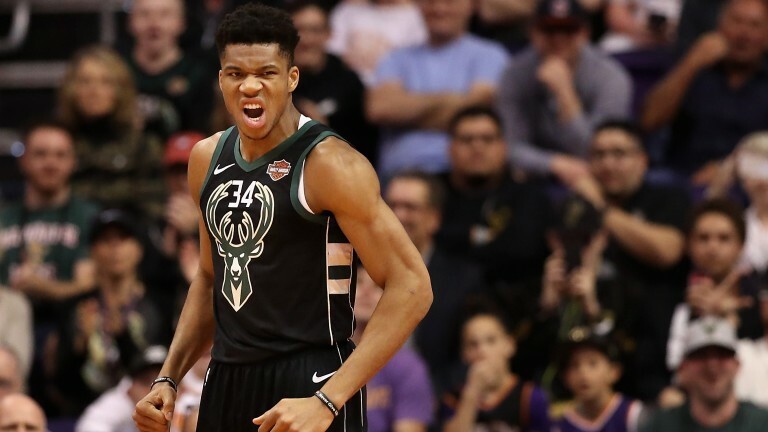 The NBA playoffs are upon us with the reigning champions Golden State Warriors booking the top seeding in the West while Milwaukee are the number one-ranked side in the East. Steve Davies takes a look at how the eight first-round match-ups could unfold. As long as Giannis Antetokounmpo stays fit, the Bucks should stay in contention. The Greek Freak has pretty much carried Milwaukee to a 60-22 record, the best in the NBA, and the team’s hopes rest upon his shoulders. The Pistons are streaky and reliant on big men Andre Drummond and Blake Griffin, but Giannis forced errors galore out of Griffin when they met during the season, and that’s telling. This promises to be a fascinating match-up. Boston went into the season as Cleveland’s heirs-apparent, while Indiana started the season like a train. Neither side resembles a major threat now, but you can’t rule out either. The inconsistent Celtics have been rocked by Marcus Smart’s injury while the Pacers lack scoring depth. This must surely be close. The Sixers' starting five are as good as any in the league. Their bench, however, is as thin as they come. Against the Nets that might not get punished but further down the road it’s a major negative. A breakout year from D’Angelo Russell has enabled the Nets to make the playoffs (something that few would have bet on at the outset) and they can be competitive. With Kawhi Leonard and Kyle Lowry on board it’s hard to see past a Toronto sweep. Confidence is sky high north of the border – they beat the Warriors twice this season – and even a side as defensively efficient as the Magic are unlikely to be able to put the brakes on them. Eight 20-point losses in a single season might interest those who reckon the Warriors’ crown is starting to slip, but the 4-9 favourites for a fourth title in five years know genuine challengers are thin on the ground. And the Clippers aren’t one of them. LA’s other franchise has exceeded expectations making post-season and will play fearlessly with nothing to lose – though they surely will lose. James Harden’s offensive dominance hit record-breaking heights during the regular season, which started slowly in Houston as they tried to recover from last spring’s heartache. Now it’s all systems go and having gone 20-5 after the All-Star Break, none of their rivals are in better form. The Jazz, defensively strong, need to find some scoring power to stay in touch and over a best-of-seven series that’s probably beyond them. The Thunder swept the four-match series and, despite fluctuating wildly between looking like title contenders and back-markers, they hold the aces against Portland. The Blazers failed to deal with the twin threat of Paul George and Russell Westbrook and have to try do it minus starting centre Jusuf Nurkic, who is out with a broken leg. This is newish territory for a lot of the young Nuggets but for San Antonio this is their 22nd successive playoff campaign. That extra nous could count for plenty especially as the Spurs have got better, adapting to a new style as the season has gone on. If San Antonio make life awkward for Nikola Jokic – as they have to – can Jamal Murray and the other Nuggets raise their game again?